6 Ways to Use Coffee Beans + a Giveaway! For our Provisions shop, we search for the best and most beautiful things for our kitchen and home. And since we like to think outside the box, we’re showing you all of the different ways to use some of our favorite products. Today: When life gives you coffee, make cake. And iced coffee. And chicken. Tell us how you use coffee in the comments for a chance to win two bags of Stumptown Hair Bender blend beans and a Hario Skerton coffee grinder! One of our best-selling coffees on Provisions is this Hair Bender blend from Stumptown, a Portland, Oregon company committed to fair trade and sustainable sourcing. And their coffee doesn’t just do good, it tastes good. This particular roast uses beans from across the globe -- Latin America, East Africa, and Indonesia -- and the result is a coffee with notes of chocolate, caramel, jasmine, Meyer lemon, apricot, and pineapple. One benefit of a small, hands-on operation like Stumptown is their ability to monitor each coffee, which results in consistently layered blends like the Hair Bender. If the beans from Latin America are skewing too fruity one August, they’ll add a bean that's a bit more savory to balance it out, which keeps the taste consistent throughout the year. Other (read: bigger) coffee companies often don’t have the luxury or flexibility to taste and adjust their blends, so they roast the heck out of their beans to keep them consistent, which destroys all of the nuance. Stumptown, on the other hand, is in it for the flavor -- so they aim to make coffees that showcase how the beans are supposed to taste. 1. Coffee ice cubes. We think the world would be a better place without watered down iced coffee. Here's Merrill's technique for avoiding it. 2. Turn it into cake. What’s that? You like coffee and ice cream and cake? You’re officially on our team. When we see an opportunity to turn something into cake, we seize it. 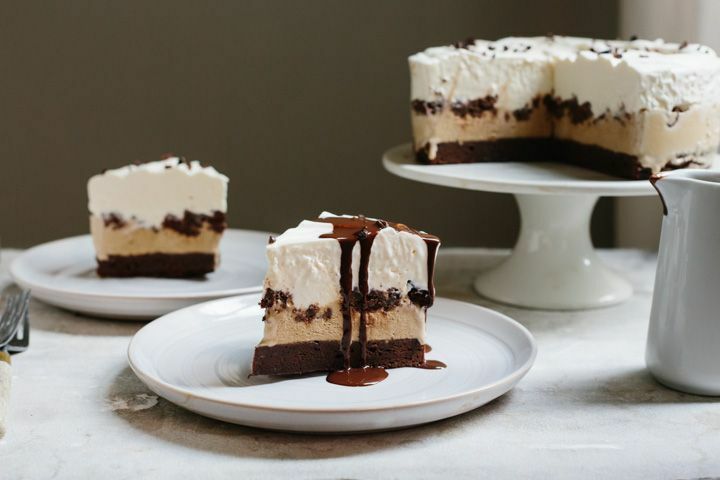 This coffee ice cream cake recipe is exceptional, but you can make ice cream cake without a recipe too. 3. Fix furniture scratches. Used coffee grounds shouldn't go to waste -- before tossing them, give them a second life: Dip a cotton swap into your old grounds and use it to buff a scratched area of any dark wood furniture. Once it sits for a few minutes, wipe it off gently with a towel or a clean cotton ball. It doesn’t remove the scratch, but goes a long way in making it less noticeable. More: Turn more pantry basics into cleaning tools. 4. Improve your gardening. We told you not to toss your coffee grounds! Add them to your garden soil (or any plant you’ve got). Coffee grounds contain a lot of nitrogen which is excellent for plants. Start with a spoonful mixed into soil to see how your plants do -- some can handle more than others. More: Grow your own greens this year. 5. Make perfect chicken. Brine your chicken overnight in a spiced coffee brine using gingerroot’s chicken recipe. It yields a tender chicken with a sweet and crackly crust. 6. Up your ice cream game. 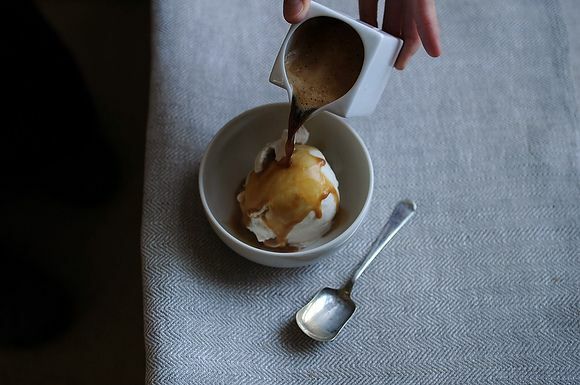 If you haven’t been pouring hot coffee over vanilla ice cream, well, you haven’t been living. Hot and cold, bitter and sweet, black and white combine for a top-notch caffeinated sundae. Bonus: It’s one of the quickest yet most elegant desserts to make for guests. 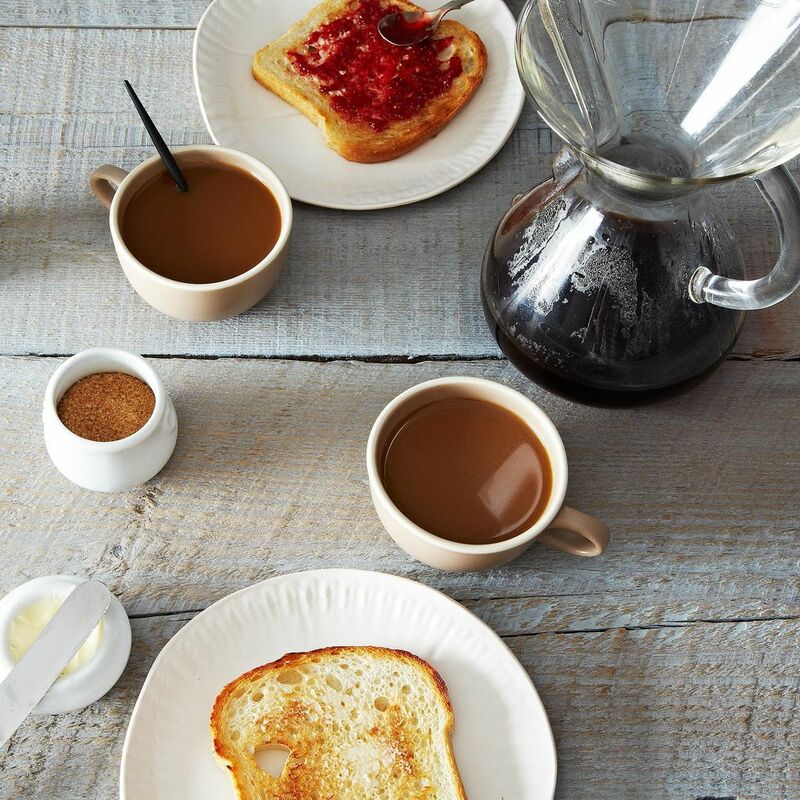 We want to know your favorite way to use coffee! Tell us in the comments by Friday July 18th at 6 p.m. for a chance to win two bags of Stumptown Hair Bender coffee beans and a Hario Skerton coffee grinder! I personally love to make cold brew iced lattes with my infused simple syrups. Also if I'm baking I add coffee to anything chocolate for a more complex flavor. Instant espresso in brownies! Mmmm. Coffee on good vanilla bean ice cream is the best. Love to cook with it and put the grounds into the garden. Early morning is my mental prep time for the day and needs to be accompanied by a good cup of coffee from my French press. It is an 8-cup press and, while I could drink that much, I shouldn't (at least not more than once or twice a week). What to do with the remaining coffee? Pour it in a mason jar and put in the fridge. Mid-afternoon slumps require iced coffee! I use it in BBQ sauce. No matter what the season, I love a cup of steaming hot coffee in the morning with just a bit of cream. 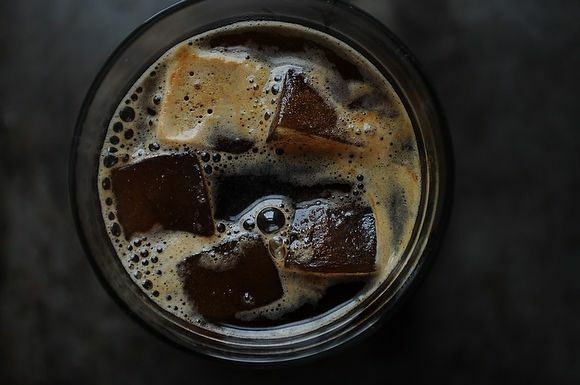 On a warm summer afternoon, nothing beats a cold brewed iced coffee. I also frequently use coffee when baking chocolate cakes and brownies. It adds a lovely depth of flavor. My favorite coffee recipes that are pretty much staples in my kitchen include KelseyTheNaptimeChef's Double Chocolate Espresso Cookies (https://food52.com/recipes/1172-double-chocolate-espresso-cookies) and mrslarkin's coffee syrup (https://food52.com/recipes/11227-coffee-syrup). Mouth-watering spicy pumpkin bread, made with a touch of Hair Bender coffee blend,walnuts and cocoa nibs in the batter. And of course, a cup of Stumptown Hair Bender coffee to validate the goodness. My burr grinder isn't the best so it accumulates espresso-grind fine powder in the receptacle. Adding a bit of the powder to overnight steel cut oats gives some great coffee flavor plus a caffeine buzz. Waste not want not. so smart to add to overnight oats! trying that tonight. I tweaked my Mother's heavenly cheesecake recipe using coffee....a delicious twist on what was already perfection. I generally just like to brew it in a coffee maker and drink it. Just plain old drinking coffee but I'm gonna look into some of these great ideas! coffee for me all day and then spent grounds used for fertilizer. I love a good latte, plus just smelling coffee beans is great. As intended; as a hot way to start the morning or cold afternoon pick-me-up. 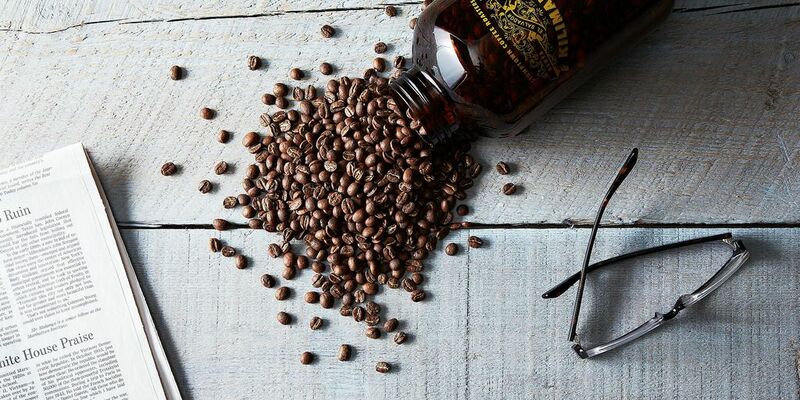 I use brewed coffee or espresso in several barbecue sauces I make as well and use fresh ground beans as part of my barbecue dry-rub from everything from brisket to ribs. There is nothing like the aroma of freshly ground Stumptown Hair Bender coffee beans grinding in a Harlo Skerton coffee grinder, except for the rich taste of the fantastic coffee brewing. I would spread the coffee grounds in standing water in my yard. I have heard it can be used as a mosquito repellant.